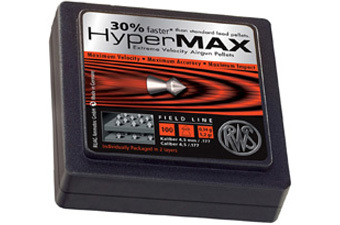 Comments: RWS HyperMax Pellets tested 30% faster than standard lead pellets. They provide maximum precision accuracy because they're made from a technically advanced alloy that forms to the rifling in your air rifle's barrel. 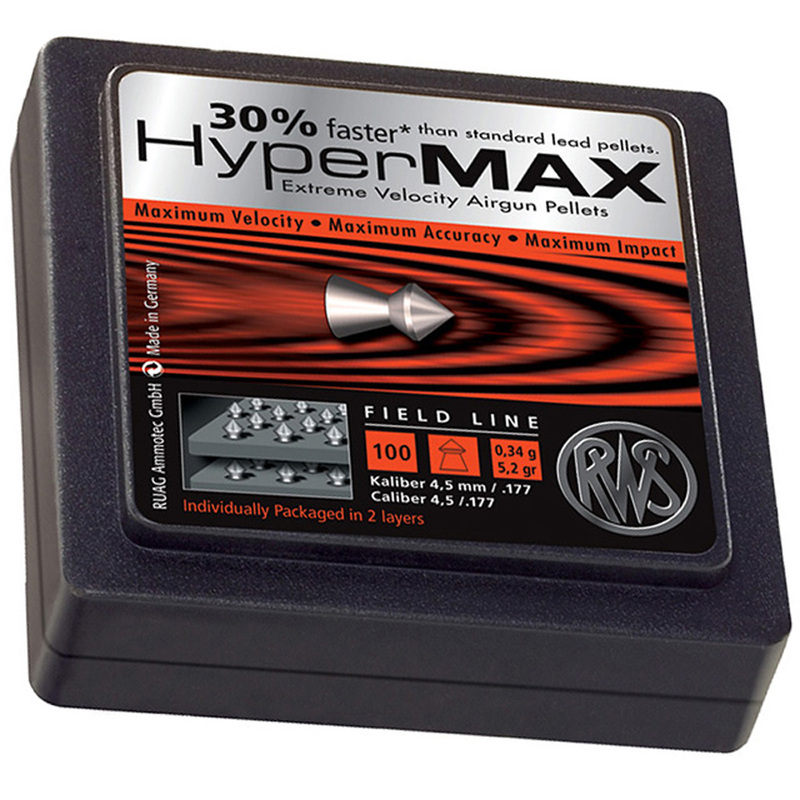 HyperMax pellets have a brilliant high-speed finish and a conical head design for superior penetration. These RWS pellets are lead free and are packed individually to ensure each pellet maintains that RWS pellet consistency.